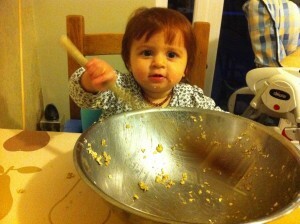 Baking Flapjacks with the Little One. 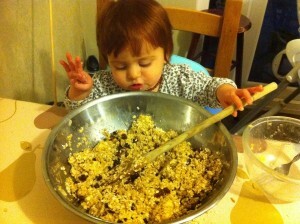 My healthier take on flapjacks are well known by my friends, I’ve almost always got a tub of them on the go. They got me through the long early days of breastfeeding and are now enjoyed by 1 year old too. In fact she absolutely loves them. So today, when she was struggling to sleep and I was unable to bake during her naptime I decided she may as well help me. This turned into a really fun learning experience for us both. 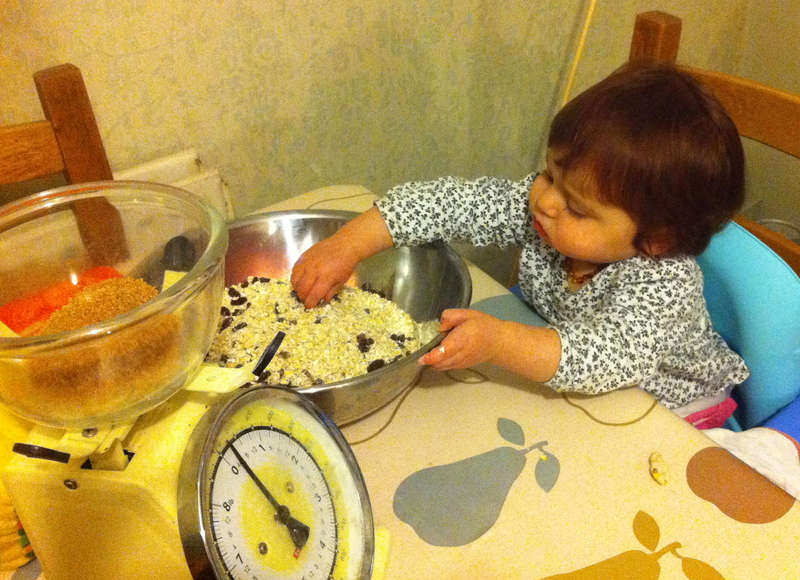 I weighed out the oats and sultanas and Kezia enjoyed playing with the dried ingredients, especially as she was able to sneak a few sultanas! 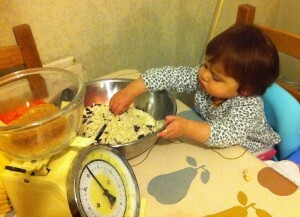 She also liked watching me measure out the sugar, honey and margarine. Playing with the dry ingredients. Stirring all the ingredients together was a lot of fun, although the spoon was probably a bit too large! 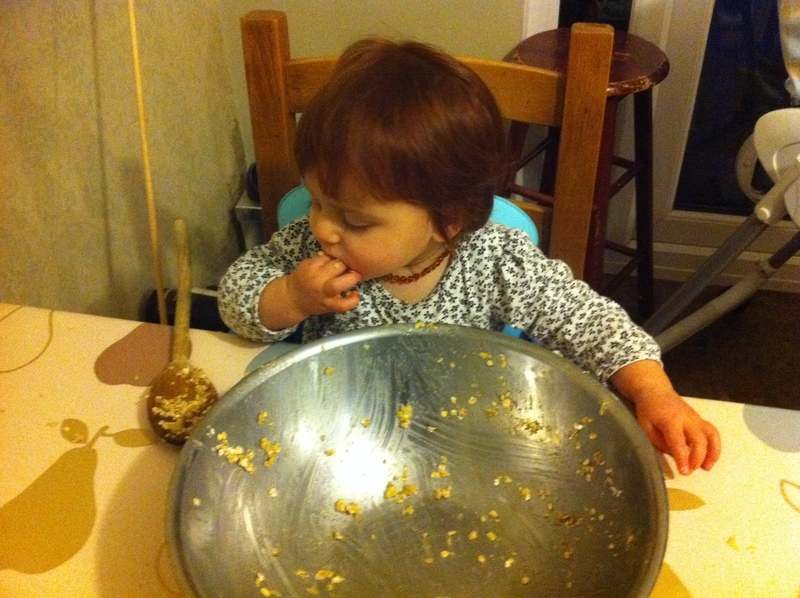 It was a pleasure watching Kezia have a good go at mixing and seeing the look of satisfaction on her face. Stirring with the biggest spoon! Finally we had time for more mixing practice at super fast speed! Look at me Mummy! Mixing in action. 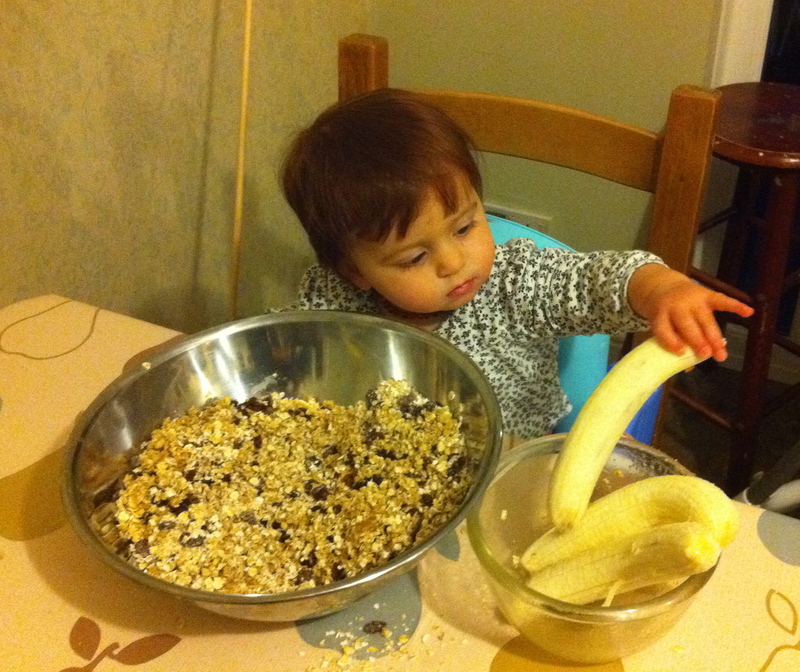 What are your favourite recipes for cooking with children? Any tips to pass onto me?